Our infrastructure, technical expertise and dedication allow us to tailor supply chains that optimize the customer experience, time after time. At Mohebi Logistics we realize the importance of consistently monitoring quality through dedicated management systems so that your brand integrity is always preserved. We have the very latest IT infrastructure that gives you precise information about where your products are, where they’ve been and how they’ve been handled. Our company is HACCP certified, has ISO 9001 accreditation and full TAPA security status. These are just some of the reasons why the world’s largest brands and businesses have selected us to represent them in the MENA region. Our focus on quality and attention to detail goes much further than you might suppose. We ensure that our systems and infrastructure integrate with your existing Quality Management Systems. Many of our customers ask us to enhance their supply chain as well, so we work closely together to take them to the next level. 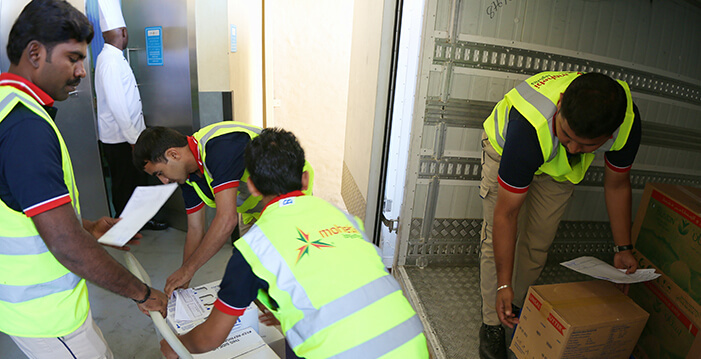 To work with Mohebi Logistics is to cooperate in true partnership. Tell us what you want to achieve and we’ll do it for you. It could be high-level strategic objectives that need to be implemented or specific requirements that should be followed. Whatever it is, our team of experts from around the world will work with you to tailor a satisfactory solution. It’s in everything we do. It’s on everybody’s agenda – whether that person is a warehouse operative, a driver, or the CEO. This strong focus has allowed us to become one of the most respected logistics and supply chain specialists in the region. It’s a unique asset that keeps us ahead of the game.